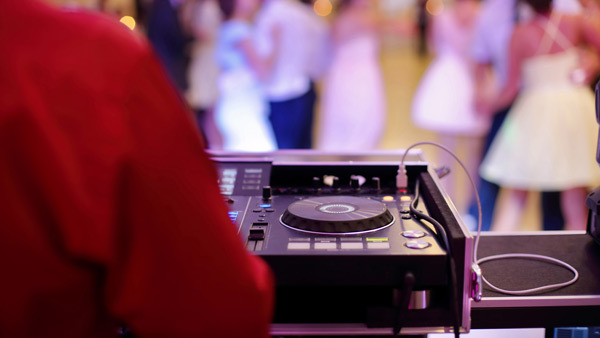 SOUTH HUNTINGDON, Pa. -- Police say the DJ at a Pennsylvania couple's wedding reception made off with $600 in gifted money. State troopers arrested Edward Kendrick McCarty this month on theft charges. He's accused of stealing cards from a box meant for the bride and groom. Ashley Karasek tells the Tribune-Review McCarty had the box for most of the evening of her July 29 wedding and she saw guests passing him cards. Police say McCarthy confessed to stealing the cards because of financial struggles. NJ wedding crashers revealed. Tamala Edwards reports during Action News at 5 a.m. on August 15, 2017. Karasek says she's now contacting her wedding guests and asking how much money they gave the couple as gifts. She says her advice to couples is to get a wedding card box with a lock. No lawyer is listed for McCarty in online court documents.